With spring upon us, and a few days that have felt like summer, BBQ’s all over Canada have been put to work. It is after all, the season of grilling! 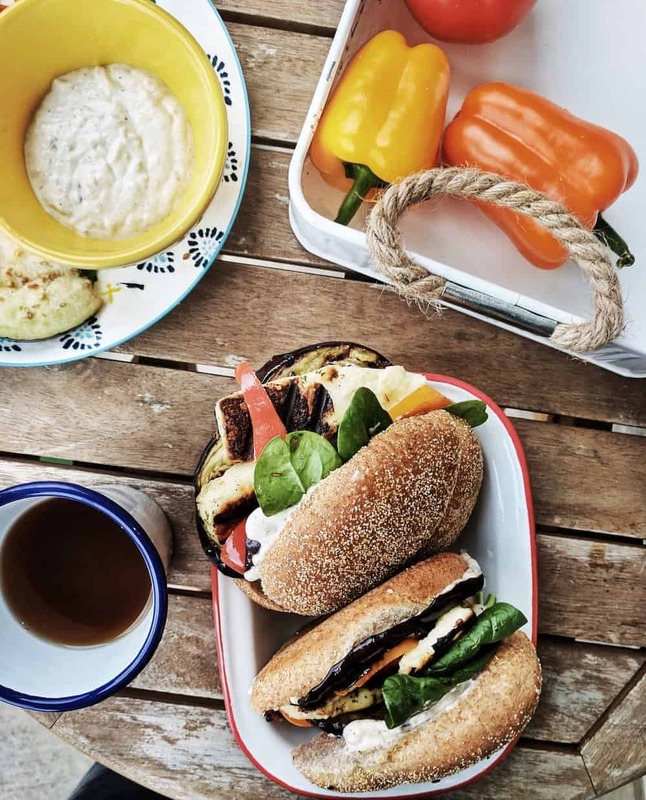 Which is why I’ve partnered with Weston Bakeries and their #150BunsOfSummer to bring you healthy recipes that will have you set for your outdoor meals this summer. Most importantly, they can be prepared in no time, and are vegetarian friendly, with a few fish and seafood options as well. 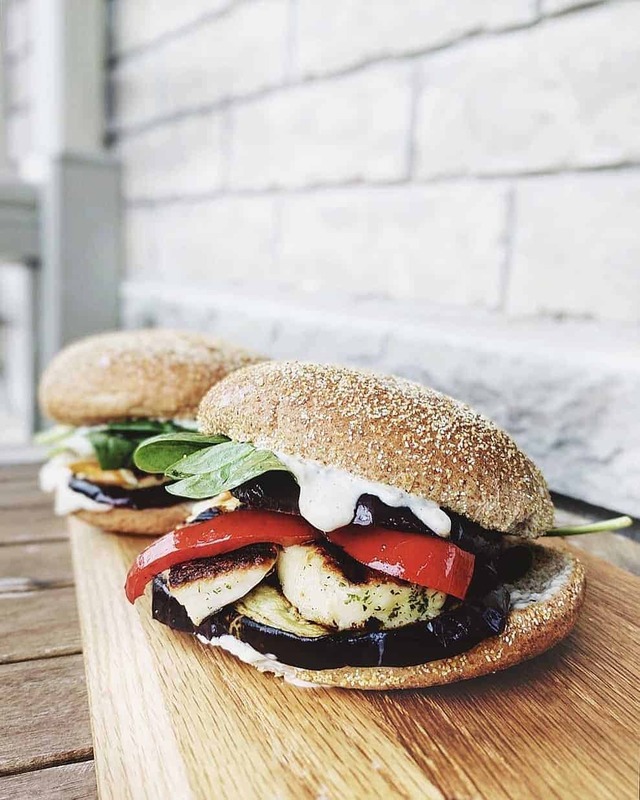 I’m excited to share the first of many recipes to come, starting with this Halloumi and grilled vegetable burger. 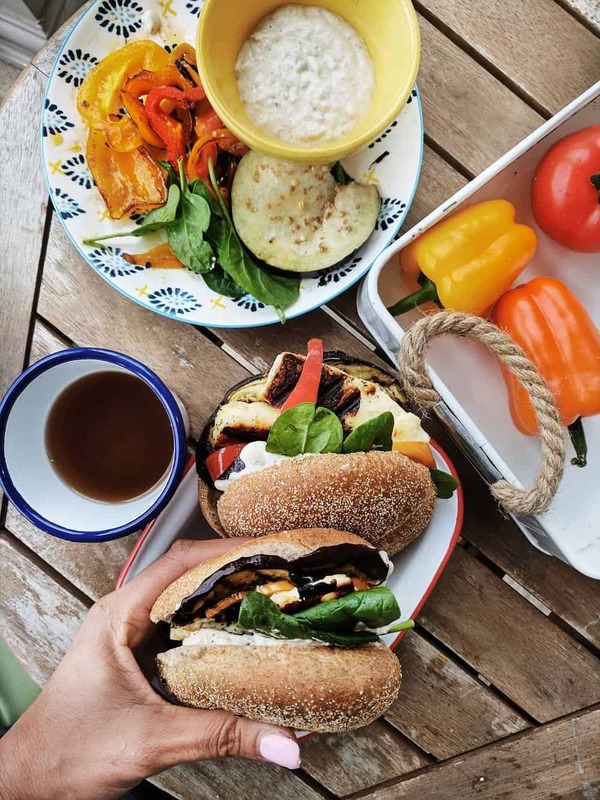 Halloumi is one of my favourite cheeses. I tried it while in Athens a few years ago and since then have been using it in many of my salads. The best thing about it, is that you can grill it and it won’t melt !! 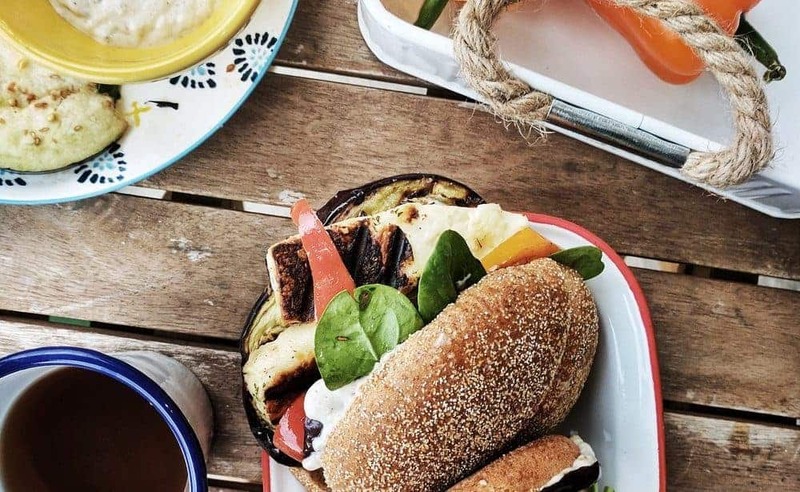 making it perfect for this flavourful sandwich. Enjoy the beginning of grilling season and cheers to healthier options for dinner! Cut halloumi cheese in slices and set aside. Thinly slice peppers and eggplant. Brush 6 eggplant slices with olive oil and grill 2 minutes per side. Sautée peppers and grill halloumi cheese about 2 minutes per side. 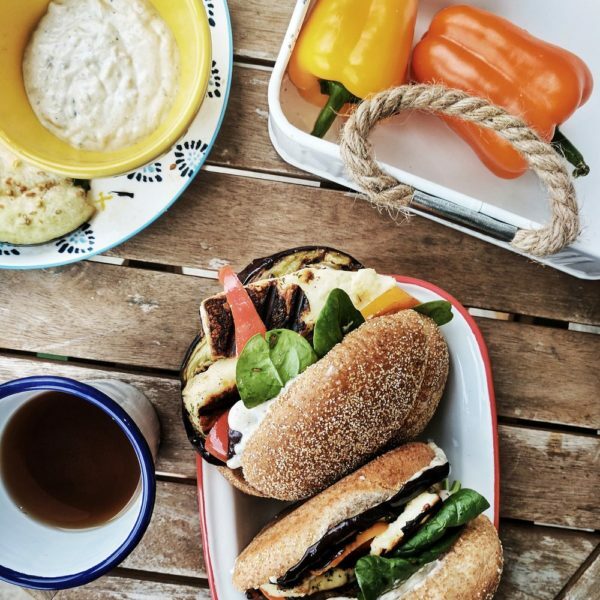 Warm the hamburger buns on the grill and finally, top each half with baba ganoush, grilled vegetables, halloumi and some spinach.